If you have an air conditioner in your home or office, it makes sense to ensure that it operates as efficiently as possible. While you can't re-gas or repair an air conditioner, you can give it a regular cleaning. Not only will this extend the life of an air conditioner, it's also important to allow an air conditioner to operate efficiently. Air conditioners condense water out of the air and when dust is allowed to build up within the air conditioner, this dust absorbs moisture. During the winter months when an air conditioner is not in use - or run on a warm cycle, this dust can become the perfect breeding ground for mould, especially in older model air conditioners. Find out if your air conditioner has a replaceable or reusable filter and clean or replace these filters twice a year, or clean a reusable filter according to the manufacturer’s directions. Before summer and winter is the best time to do this. If this filter is left dirty, the air conditioner consumes more energy. 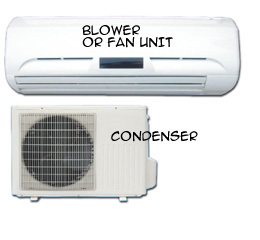 Additionally, it blows dirty air back into the room, causing allergies and respiratory problems. 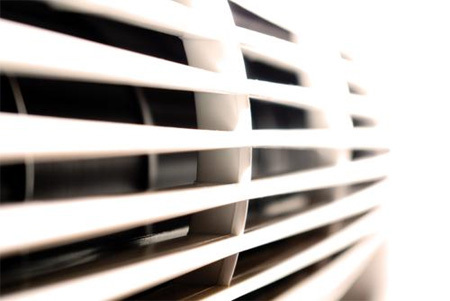 Cleaning the ventilation fins will keep your air conditioner operating efficiently and quietly. Use a soft cloth to wipe them and vacuum away any debris. Cleaning the inside unit is important, but so it regularly checking and cleaning the outdoor condenser unit. The area where the condenser unit is mounted should be kept clean of debris or plant growth. Remove or trim any weeds or bushes around the condenser that might restrict airflow through the unit. Use a soft brush and vacuum to clean around the coils from the outside. Where dirt has caked around the ventilation panels, use a soft cloth lightly dampened with dishwashing liquid to remove and then wipe dry. If you have easy access to, clean the drip tray below evaporator unit. This tray carries condensation away from evaporator. In extremely humid weather, check condensate drain and pan every other day. If there's much moisture in pan, weep hole from pan to drain line may be clogged. Open weep hole with piece of wire.